We're posting early today because... Game Day! "Lefty" Mahomes and my beloved Kansas City Chiefs are going for the last AFC marble and the Golden Ticket to Atlanta. After the game I'll be too amped or too depressed to think about posting. 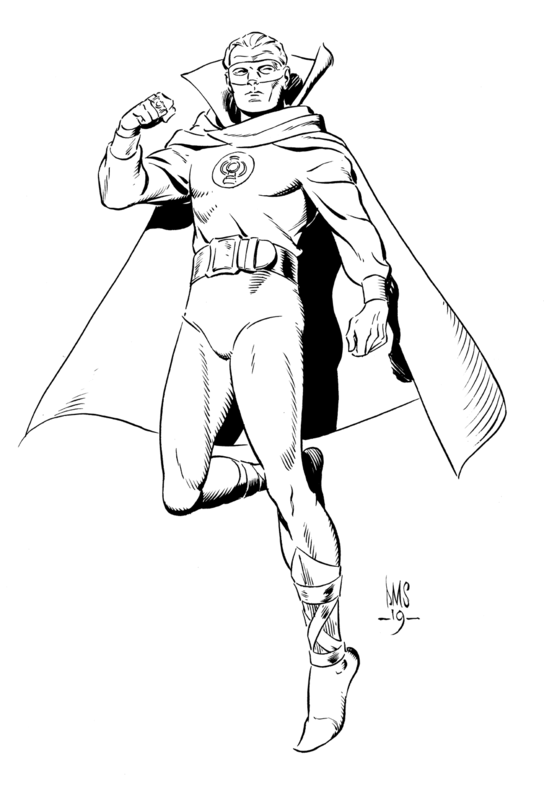 Have a Golden Age Green Lantern. Great picture of GL. Love those forties era designs. I love that you've lately been doing characters from The Golden Age. That series remains one of my favorite stories ever.